Those that follow this blog know that I am a hybrid woodworker but also that I tend to lean toward handtools. Given this fact it puzzles me that I have not built a good shooting board or bench hook until now. I have always just relied on my clamps, vises, and scrap wood. The problem with this is that it takes time to set up and there is a chance for error everytime I set up. Taking the time to build a quality shooting board is a must and you will be amazed at the accuracy possible with such a simple set up. 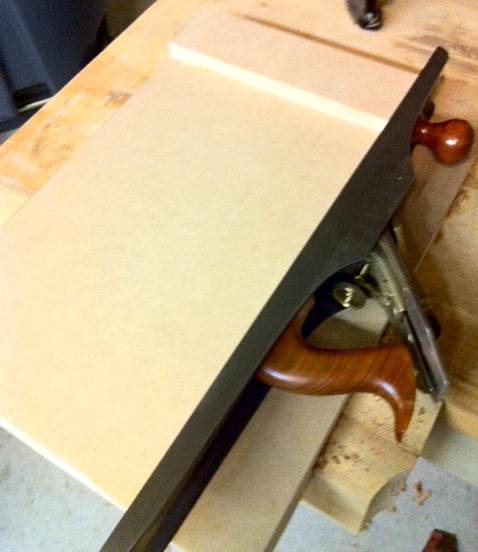 In building a shooting board there were a few decisions that I had to make: material, purpose, and size. I am all for solid woods but being in the construction business I also know that composite wood can be much more stable. Due to this fact I decided that MDF, although not something I would probably build with makes a great material for shop jigs. The product is very smooth and super stable so I don’t have to worry about movement that would cause it to become out of square…and it’s cheap too! 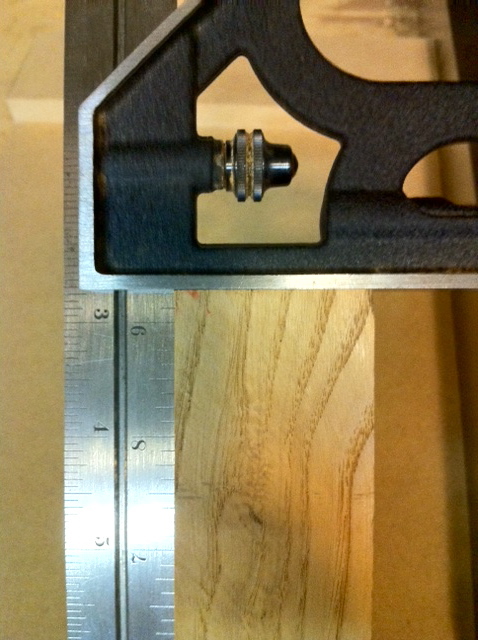 As for design, I wanted to be able to comfortable use the jig as a bench hook for crosscutting and for trimming my crosscuts as a shooting board. Being left handed the design I choose allows me to cut on the left side of the fence and trim on the right side of the fence. Not sure if other lefties are this way but I cut with my left hand but prefer to control the wood with my left when shooting a board. Keep this in mind and experiment before you build to see which is most natural for you. 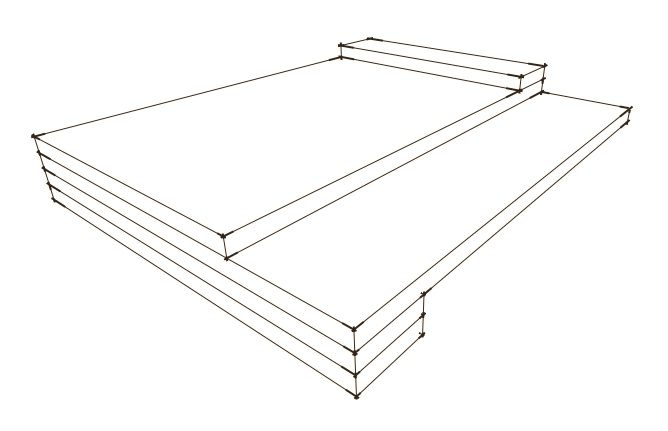 After deciding on the material and design, I stopped by Home Depot and picked up an 18″x5′x3/4″ MDF board. By going with a base that was 14″x20″ and a top board that was 11″x20″, I had enough scrap left over for the fence and hook on the bottom. I had very little scrap left over and the shooting board is comfortable to work with when using with a plane or crosscutting with my saw. This size also left me with a 3″ track for my plane to ride on. I am using my Lie Nielsen #7 and it fits perfect. Now that the shooting board is complete I don’t know how I made it so long without one. I can already see that this will probably stay on my bench most of the time as a go to source for accuracy. Below I have attached the Google Sketch Up file for anyone interested. Thanks Trevor. I can see where having a board that could be used frI'm the left or right would have it's advantages. I'm a lefty, my bench hook gets sawed on the left, and my shooting board is a left and right side version. I only need one face and edge flat and square to shoot on. I just flip which side I'm cutting on. Thanks Dyami. The nice thing about the MDF is it is very smooth and heavy being so dense. Nice shooting board, Chris. I hobbled mine together from OSB, but I think I'll go your MDF route once I finally build a bench worth putting a shooting board on.